When it's rainy and snowy and slushy on a Sunday afternoon, movies on television can be your bestest friend. As the film adaptation of Cheaper By the Dozen with Steve Martin and Bonnie Hunt approaches theaters, Cinecultist has had favorite childhood books translated to the big screen on the brain. 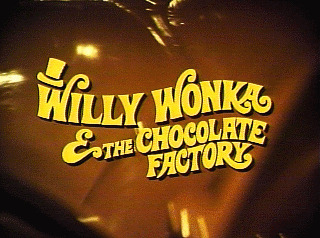 Yesterday, TNT played back to back two Roald Dahl classics turned pretty darn good movies that CC treasured as a kid, Matilda (1996) and Willy Wonka and the Chocolate Factory (1971) and CC got to thinking about Dahl's imagination on screen. Dahl, and by extension movies based on his books, are really best when they're darkest. The treacle-laden ending of Matilda where she finds a family with her teacher, sorta made CC want to puke from the sweetness overload. Which is why we were so pleased with our reviewing of the first hour of the Chocolate Factory, a dark and cynical build-up to the zaniness of Gene Wilder as Willy Wonka. CC mostly just remember Oompah Loompahs and the part where the little girl turns into a blueberry, but the first hour recounting how the world goes nuts for the Golden Tickets is quite clever and suspenseful. Charlie is so clearly the main character and yet various circumstances do not make his finding the Golden Ticket a foregone conclusion. The film is also filled with details that jab at popular culture in a very cutting way. Newscasters relay breaking news about the contest as though it were the most arresting thing occuring on the globe and one vignette shows a woman weighing a box of Wonka bars versus her husband's life. Also, the image of the four grandparents all in the same bed end to end is so odd and yet unexpectedly sweet, it's a delightful rendering of Dahl's imagination. We can only have such high hopes for the Tim Burton remake in the works.